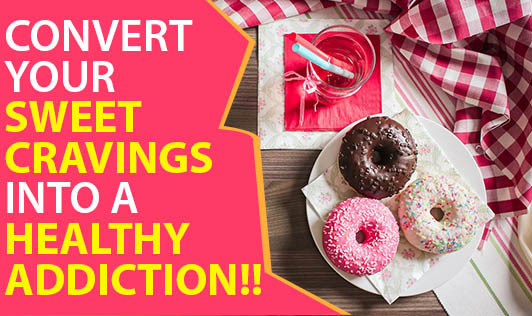 Convert Your Sweet Cravings Into A Healthy Addiction!! Do you crave sugar or sweets? Many of us do and there are reasons for these cravings. But the reasons are very much controllable. It's just that you need to know how. Sugar is a source of instant energy. As soon as we eat sugar, we feel energetic, stronger, happy, and satisfied. This is because the raised blood sugar makes us feel active. And our body gets used to this after some time. It slowly becomes a tool to combat any negative feeling. So, the more sugar we eat the more craving we have. You can keep shuffling between all the above healthy treats. That way you get a variety of nutrients as well and make your sugary treats a real healthy affair.